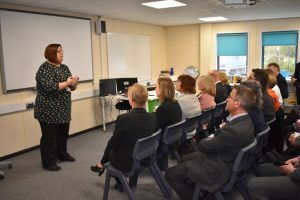 It was a pleasure to welcome guests into school yesterday afternoon for the official opening of our new Learning, Inclusion & Nurture Centre, or LINC. As a school we are incredibly proud of the work done by our Special Educational Needs and Disabilities team lead by SENCo, Amy Hawkes. Until recently, however, they had to work in a dilapidated and uninspiring building that was long past its best. 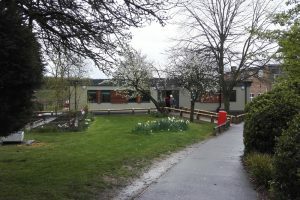 Last year we were delighted to receive the news that we had won a bid for money to replace the old Development Centre with a new purpose built centre for our special needs provision. The work was completed over the summer months and it has been in use since September. 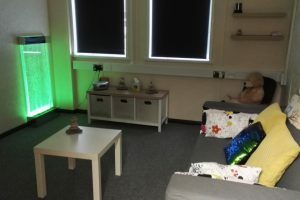 We now have a bright and airy building with two large classrooms for our English booster classes, small group learning areas, a calm room with sensory equipment and other facilities, all of which are designed around the needs of our students and the staff who work with them. Yesterday we joined together with all the people involved in the centre – from students and parents, to funders and building contractors, to governors and county council representatives – in order to celebrate both the new building and the work that goes on there. 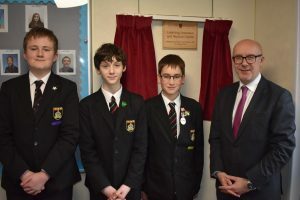 I’d like to thank Matt Western MP, the patron of our board of governors, for unveiling the plaque and officially opening the centre for us. Thanks also go to the students who showed visitors around their new building with such pride and enthusiasm.